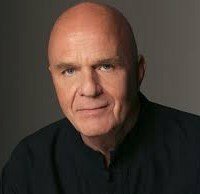 Wayne Dyer, was born to Melvin and Hazel Dyer on May 10, 1940, in Detroit, Michigan. Wayne is the youngest of three brothers, who along with their mother were abandoned by their father. Melvin was an abusive alcoholic who had done prison time, and was not much of a part of the family’s life. Wayne never formally met his father. Melvin ended up passing away in the early 1970s, just before Wayne had begun to express interest in meeting him. As a young mother, Hazel could not support Wayne and his brothers and was forced to enter her children into foster care until she could get on her feet. She worked as a candy girl for $17 a week, and it took her quite a few years before she could reunite the family. Wayne was ten years old by the time she regained custody. 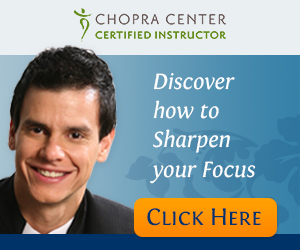 Dr. Dyer has repeatedly cited these difficult years as being hugely formative in terms of his spirit and resilience, and that it helped him become a better teacher of how to overcome adversity. Wayne joined the United States Navy in his late teens, served 4 years and then enrolled at (coincidentally) Wayne State University. At age 25, he started his professional career as a high school guidance counselor. Six years later, Dr. Wayne Dyer received his D.Ed. degree in counseling from Wayne State University. After receiving his doctorate, he became a professor at St. John’s University in New York. He was on his way to a traditional academic career publishing articles in trade journals and building a thriving counseling practice, but his life started to take a different direction. His lectures at St. John’s, which focused on positive thinking and motivation, attracted students beyond those enrolled. A literary agent persuaded Dr. Dyer to package his ideas in book form, resulting in “Your Erroneous Zones”. Dr. Dyer got his big break in 1978 after struggling to promote his book. Johnny Carson got a copy of “Your Erroneous Zones” and invited Dr. Dyer onto The Tonight Show, so he traveled to New York at his own expense. Soon, his book was flying off the shelves, eventually selling 35 million copies and making the New York Times bestseller list. That kind of exposure propelled him (and the book) to superstar status, and officially launched him into cultural consciousness. Dr. Dyer decided to leave St. John’s (even after being offered tenure), and devote himself full-time to being an author. Dr. Dyer proceeded to build on his success with lecture tours, a series of audios, and regular publication of new books. Dyer’s audience was not limited to business so his message resonated with many in the New Thought Movement and beyond. He often recounted anecdotes from his family life, and repeatedly used his own life experience as an example. His self-made man success story was a part of his appeal. Dr. Dyer told readers to pursue self actualization, calling reliance on the Self as a guide to a meaningful life. He criticizes societal focus on guilt, which he sees as an unhealthy immobilization in the present due to actions taken in the past and advocates readers to see how parents, institutions, and even themselves, have imposed guilt trips upon themselves. His core message has become incredibly simple and equally profound: You are the same as your Source. You are a unique manifestation of the Source which is the universal field of infinite possibilities. Because you come from that Source, the power for transformation resides within you. All of Dr. Dyer’s current work boils down to helping people realise this fundamental truth and overcome obstacles to living lives that fully recognise it. Much of his earlier work was focused solely on more traditional self-improvement, but switched in the 1990s to areas of self-actualization including more components of spirituality. Dr. Dyer, has authored over 30 books, has created many audio programs and videos, and has appeared on thousands of television and radio shows around the globe. He is now in his 70s and lives in Maui.